I’m looking for a fungus. It’s not just any fungus, it’s a parasitic fungus which grows on another fungus. I’ve seen it in this spot on Trendlebere Down on Dartmoor for several years running. My hopes are high. It’s Boletus parasiticus I’m looking for, or, as it’s known now, Pseudoboletus parasiticus. 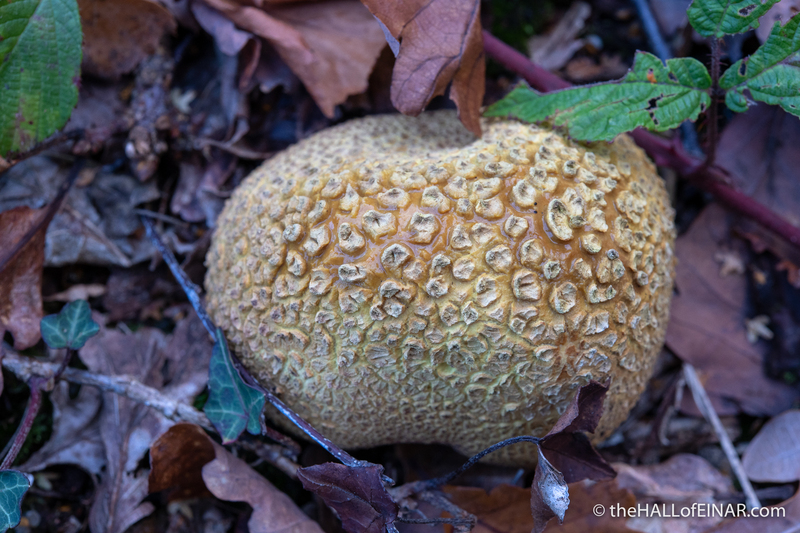 I can, however, find its host, the Common Earthball, Scleroderma citrinum, also known as the Pigskin Poison Puffball. 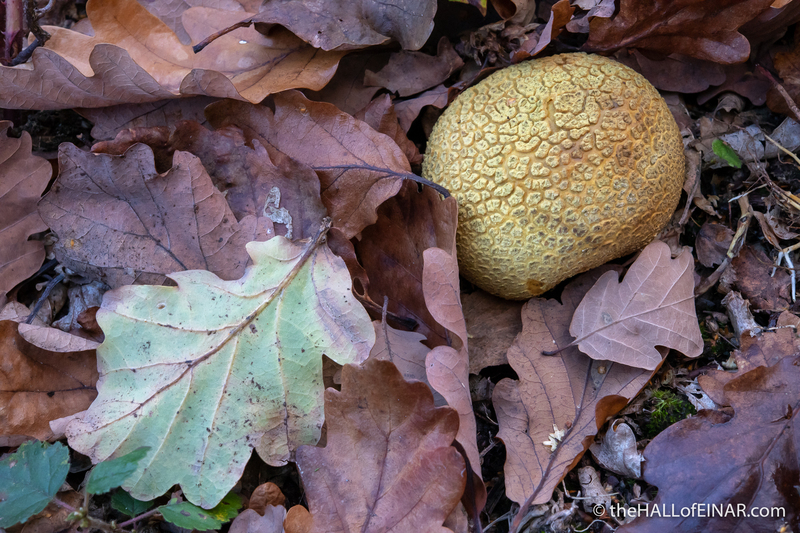 It’s growing in profusion amongst the oak leaf litter. I kneel down to take a photograph of a particularly appealing-looking one. I get a little closer and study its skin. It’s like a cake which has risen and left a cracked crust behind. It almost looks like it’s glazed with sticky toffee. I find myself drawn to stroke it and feel how cracked it is. Then I realise I’m kneeling in front of a mushroom and stroking it. I recommend it.